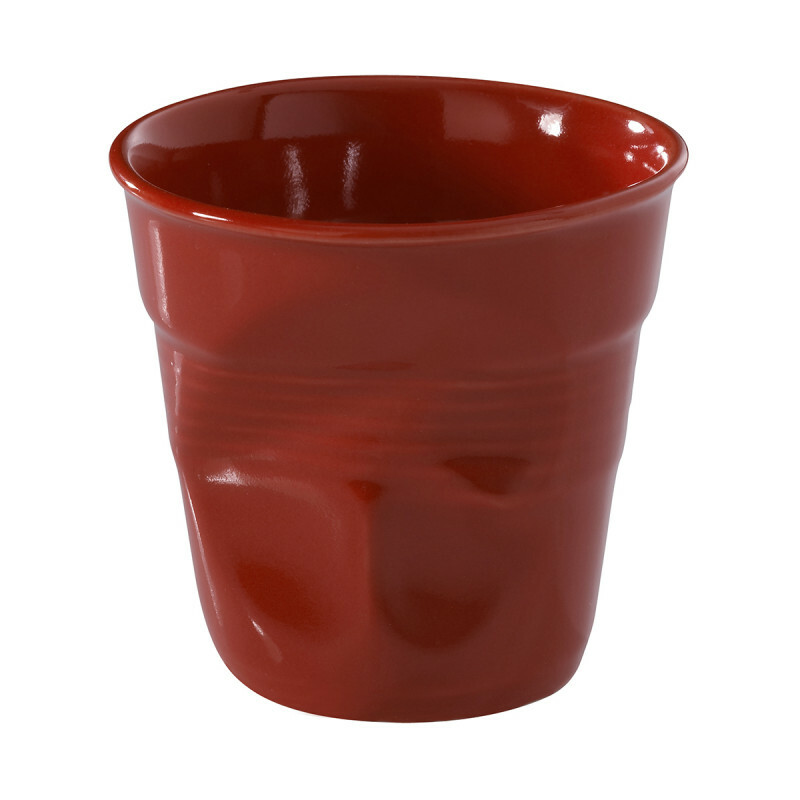 This fun red crumple cup is more than meets the eye. 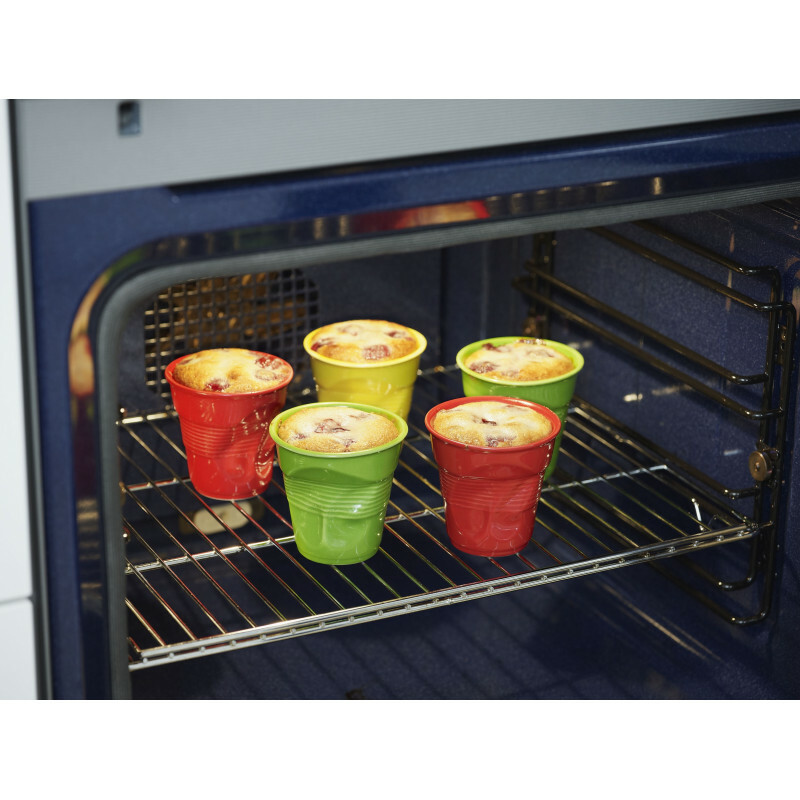 Not only is it a high-end, durable culinary ceramic cup that is suitable for beverages, but you can bake or microwave your favorite recipes in it as well. You can use it in the microwave to make coffee mug molten chocolate cake, muffins, or even a quiche. 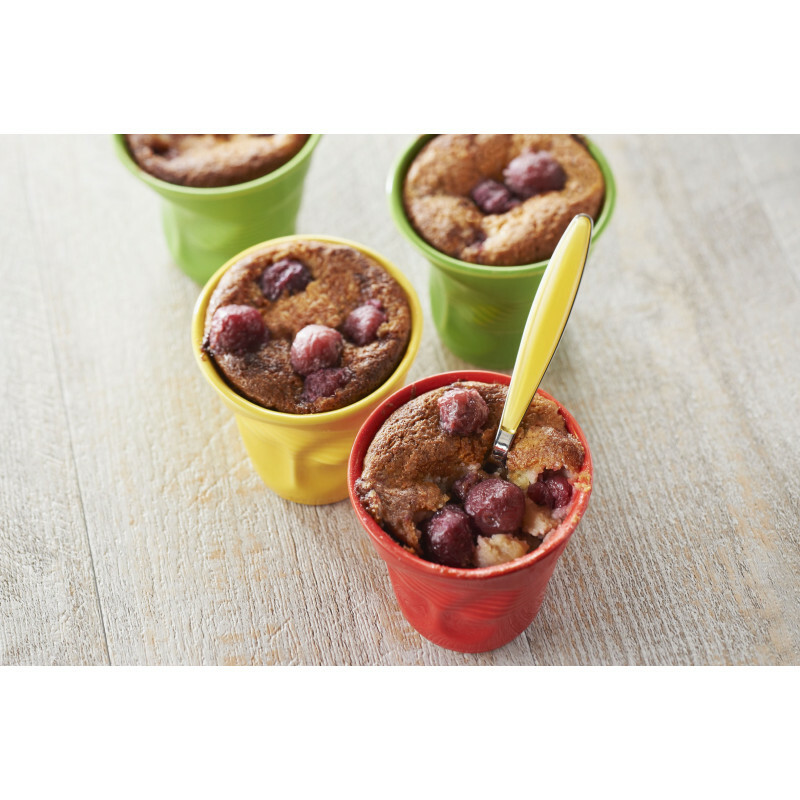 It is suitable for the oven and can replace any ramekins you already have. Use it to make small desserts, muffins, or other homemade cakes. Not only is the cup suitable for serving birthday cupcakes in, but your guests will also love the fun color and design the cups bring to the party. When you reveal to them that it’s porcelain, they are sure to be amazed. Each crumpled cup is made in France in our workshops by skilled artisans. They are made by hand and cured in an oven 70 meters long! After 10 hours of cooking at 2,534 degrees F, their vibrant colors are finally revealed! SERVING SUGGESTIONS: Serve espresso, molten chocolate cake, small crumbles, cremes, frozen deserts, and more. 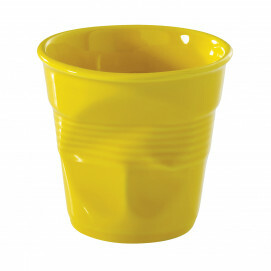 This cup can do the job of any coffee mug, tea cup, or ramekin!